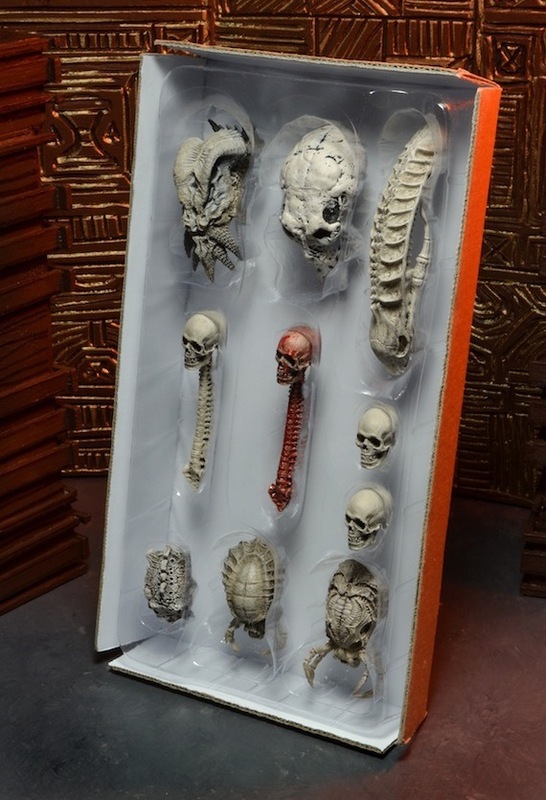 In exciting news for fans of the classic sci-fi franchise Predator, NECA will be releasing a companion piece to the Trophy Wall Diorama set that hit retail stores a few weeks ago — a complete Trophy Skull Pack! The diorama is meant to hold the trophy skulls that were included with certain Predator action figures over the past few years… but in case you lost some, NECA is offering a limited number of complete sets via its eBay and Amazon stores only. *The NECA eBay store participates in the Global Shipping Program. To see a list of participating countries, click here. 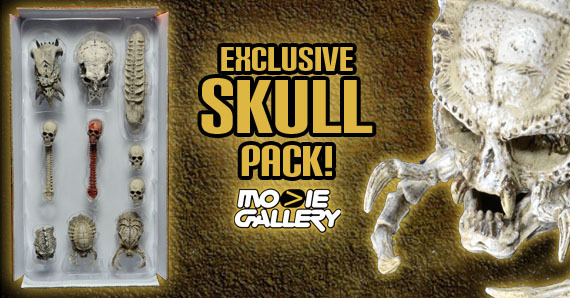 Missing any of the gory skull trophies that were included with previous Predator action figure releases? Have no fear! Now you can decorate your Predator Trophy Wall Diorama like a real hunter! 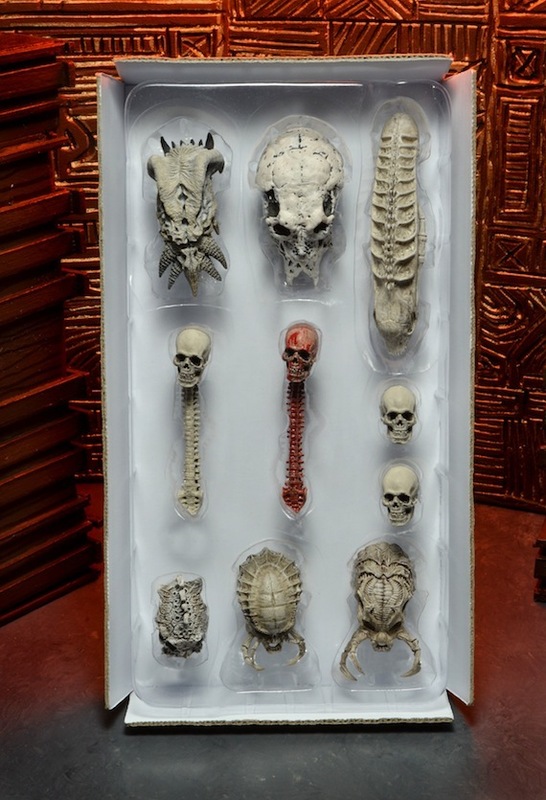 The limited edition Trophy Skulls Pack contains 10 skulls, previously only available with select Predator action figures, now packaged together for the very first time. Strictly limited to 5,000 pieces, and available only on eBay and Amazon in North America. Ages 17+. European Pre-orders are already open and the Skull Packs will ship Mid-August; Orders received through eBay US and Amazon will ship within 2 business days. This entry was posted in The MG Blog and tagged neca, predator, predator skull pack, predators, predators trophy skull pack, predators trophy wall by summerm. Bookmark the permalink.